Peacefully, with his family by his side, at the Lennox and Addington County Hospital in Napanee on Tuesday, April 2, 2019. 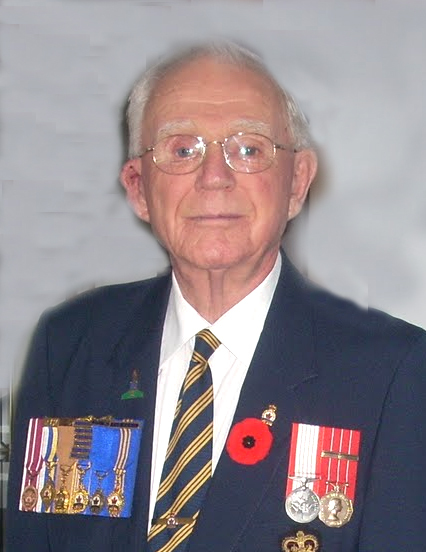 Francis Richards Hamilton of Napanee at age 93. Beloved husband of Betty Hamilton (Pye) and dear father of Pamela Hamilton of Kingston; and Cindy McGrath (Andy) of Napanee and predeceased by his son Donald Hamilton and infant daughter Sandra. Grandfather of Jennifer Campbell (Robert); Monica Snider (Norm); Melissa McGrath (Eric Kirby) and Andrew McGrath. Great-grandfather of Norman, Ryan and Natalee Snider; Luke, Noah and Liam Campbell and Leah and Jacob Kirby. Brother of Mary Hamilton; Barbara Merrick (Bob); Elizabeth Gerds (late Bob); Clare Hagen (Barney) and the late Ian Hamilton and Edith Moore (late Charles) The family will receive friends at the HANNAH FUNERAL HOME in Napanee at 123 Dundas Street West (613-354-3341) on Friday, April 5 from 7-9 p.m. Legion Service at 6:30 p.m. Funeral Service at St. Mary Magdalene Church, 137 Robinson Street, Napanee on Saturday, April 6 at 11:00 a.m. Interment Riverview Cemetery at a later date. Memorial donations (by cheque please) made to St. Mary Magdalene Church would be appreciated by the family.